At the World Wide Developer Conference of 2008 Apple made a small but significant move in the naming of its operating systems, removing the “Mac” prefix from Mac OS X. 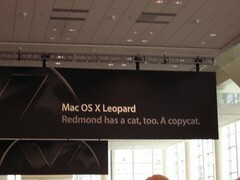 In its promotional material at the annual developers’ gathering Apple referred to the iPhone’s OS as “OS X iPhone” and to Mac OS X 10.5 as “OS X Leopard”. This was clearly done to unify the branding since the OS was now running on a wide gamut of devices that included not only desktops and portables but also mobiles and the Apple TV set-top. The change was also evident in a press release in May referring to the Developers’ Conference. 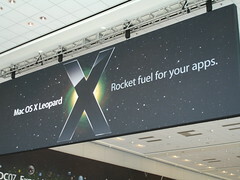 This year’s WWDC will showcase two revolutionary development platforms, the ground-breaking innovations of OS X Leopard® and OS X iPhone™, the world’s most advanced mobile operating system. 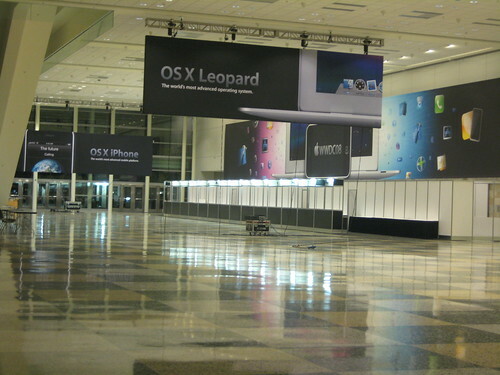 WWDC 2008 will offer over 150 information-rich sessions and labs where Apple engineers will go in-depth on the innovative technologies that power OS X iPhone and OS X Leopard. had been already Mac-less at least since the 7th July of 2004. Since they moved from “Mac OS X”, to “OS X” maybe in a few years they’ll move to just “X”. Then a few years later they’ll move to “Ehh-“. Then they’ll move to just silence.